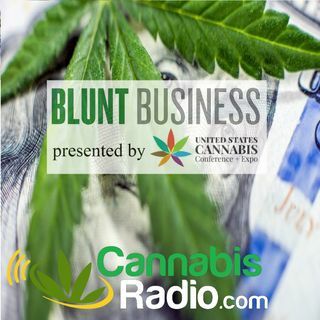 Today on Blunt Business our host is joined by Hempstaff CEO and Founder James Yagielo. HempStaff has been involved in cannabis recruiting since 2014 and helped placed thousands of employees in over a dozen states. Currently, HempStaff has over 34K candidates in our database, some with previous experience and some without, but all looking for marijuana jobs hiring. They talk about What are some myths of getting into the cannabis industry that his might commonly see with people in his training ... See More course. As well as breakdown how James got into the industry and if he see's it as this industry is tipping into a male-dominated industry or does he think it has the potential to be evenly saturated based on student statistics. That and more today on Blunt Business.